Magnificent Waterfront home with panoramic river view. Elegant design features professional gourmet kitchen, center island w/granite counters, SS appliances & custom cabinetry. 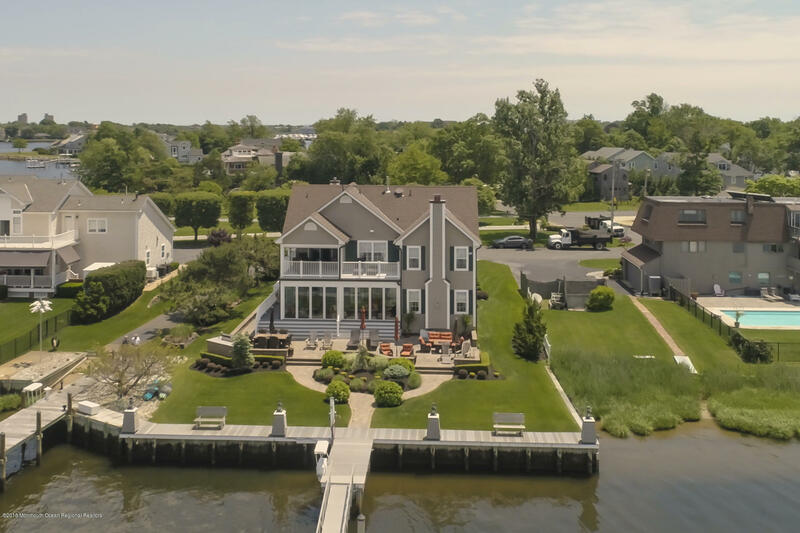 Immaculate home completely upgraded include wine closet, dec moldings, coffered ceiling, hardwood flooring, master suite with spectacular water views, marble baths, full home generator and outdoor upper level balcony with covered sitting area & remote control screens. All season room with expansive multi-slide hurricane doors. Security system, 12 cameras, centralized audio/visual. The interior is untouched by ''Sandy''. The restored exterior boasts professional landscaping and beautiful wooden garage doors, expansive paver patio, built-in grill and boardwalk bulk head with two boat lifts and outdoor shower to enjoy. I would like more information about 544 Seawaneka Avenue in Oceanport.